Continuous innovation has been integrated into Moeller Contactors to provide an even higher level of operational safety and cost savings as Moeller Contactors are ideal integrating in complete systems. 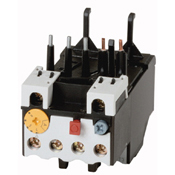 Moeller Contactor up to 15.5A have been extended with plug-in accessories such as motor filters and solder pin adapters. The Moeller DILM range has the same dimensions for AC and DC contactors, planning engineering can be carried out with even greater efficiency. With only four component sizes covering the rating range up to 170A, engineering is made simpler. A central benefit with contactors up to 38A is that the auxiliary contact is already built in, and the DC contactors include a suppressor circuit up to 170A. From 15A, the DC contactors have an electronic drive which removes the need for coupling relays. The Moeller DILA auxiliary contact perfectly complements the new DILM motor contactors. A wide range of auxiliary contacts are available specifically for the contactors relays to ensure optimum solutions and reliable identification. 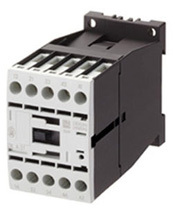 The contactor relays can be extended to 8 auxiliary contacts with the front-mountable auxiliary switches. The Moeller ZB Overload relay protects the motor against phase failure or overload. Auxiliary contacts switch the motor contactor off and signal the fault. Moeller ZB relays are suitable for protecting EEx e-motors according to ATEX 100a guidelines. ZB Overload Relays are an ideal choice in most industrial starting applications. Below 250A, all relays are Class 10, which means they trip within 10 seconds of a locked rotor condition. The Moeller EMT6 Thermistor overload relay provides functional versatility in the smallest possible space. The EMT6 protects machines against over-temperatures during severe starting duty, braking duty, under-voltage and over-voltage, and high switching frequency. The temperature is monitored by means of a thermistor, directly on the motor winding. In the event of over-temperature, the appropriate signal is passed to the EMT6. It then trips and the fault is clearly displayed in the control panel. 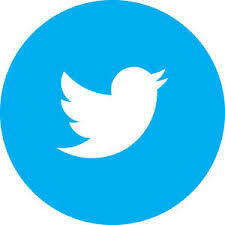 Another field of application for the EMT6 is the monitoring of temperatures in bearings, gearboxes, oils and coolants. Three types with differing functions are available: EMT6, EMT6-DB, EMT6-DBK. The EMT 6-DBK is the most versatile with functions such as automatic or manual operation recognition of short circuits in the sensor circuit and zero voltage safety. Zero Voltage safety ensures reliable fault signalling even in the event of supply voltage failure; signalling which helps prevent expensive downtimes. The multi-voltage module automatically adapts to all conventional control voltage from 24 VDC and to 240 VAC. 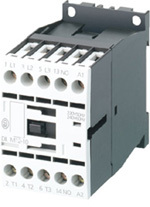 The Moeller DILL contactor works in unison with the Moeller xStart series for lighting loads. The Moeller DILL has been developed on the basis of the contactor DILM and been specifically optimised for switching lamps. High switching capacity masters the inrush currents associated with all kinds of lamps. The box terminal enables the connection of larger conductor cross sections in order to facilitate long distances. The Moeller DILK Contactors for reactive current compensation systems have been developed on the basis of the DILM contactor range and fit perfectly into the xStart system range. In addition to a special anti-weld contact material, the DILK contactor range contains series resistors. The capacitors are pre-charged via a special early make auxiliary switch and only then do the main contact then close and conduct continuous current. The Moeller ZEV Motor Protective Relay is designed to protect motors up to 820A against phase failure, overload and current imbalance. An earth fault is detected quickly by the external core-balance transformers. 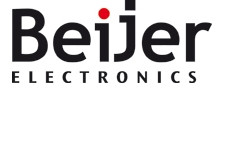 The integrated thermistor connection enables the relay to be upgraded to provide a full motor protective system. With eight pre-selectable tripping classes there is even more control in the most difficult starting conditions for motors with long starting times. The Moeller CMD (Contactor Monitoring Device) monitors the main contacts of a contactor for welding. It compares the contactor control voltage with the state of the main contacts, which is indicated reliably be a mirror contact. 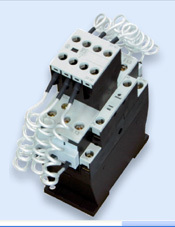 If the contactor coil is de-energised and the contactor does not drop out, the CMD trips the backup circuit-breaker, motor protective circuit breaker or switch connector via an under-voltage release. The Moeller CMD also monitors the functioning of the internal relay using an additional auxiliary make contact of the monitored contactor. 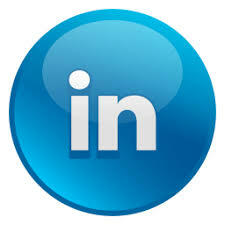 For this the auxiliary make and break contact is positively driven. The break contact is designed as a mirror contact. The CMD can be used in Emergency-stop applications for safety category 3 in compliance with EN 945-1 and the performance level d in compliance with EN ISO 13849-1. If you would like more information about Moeller Contactors, contact More Control on 0345 00 00 400.